The former Schlage Lock property is a 12.6-acre site located on the southern edge of San Francisco, along the 101 Freeway approximately a mile west of the former Candlestick Park. The Ingersoll Rand Co. (IR) purchased Schlage in 1974, which ceased manufacturing operations at the property in 1999. Extensive environmental investigations of the property that began in 1982 identified groundwater contamination emanating from the property onto adjacent land, which was owned by Universal Paragon Corporation (UPC), an Asian-based investment and development group. UPC and I-R became locked in a legal battle over responsibility for the contamination for a number of years. The inability to resolve the environmental issue blocked efforts by UPC to begin redevelopment of their property and was a hot button issue in the San Francisco community for many years. After multiple failed attempts to resolve issues of environmental clean-up and liability management, UPC brought in Brownfield Partners (BP) to facilitate a resolution that would allow redevelopment to finally move forward. Under the terms of an agreement between BP and UPC, to which I-R was a third-party beneficiary, UPC acquired the former Schlage Lock property and BP assumed the environmental liability and the obligation to conduct building demolition and environmental cleanup. In this role, Brownfield Partners managed the demolition of over 600,000 SF of former manufacturing and office buildings, and managed the remediation of both source soil material and contaminated groundwater to levels that would allow redevelopment of the property for both residential and retail use. 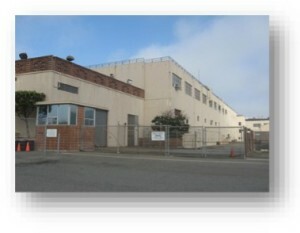 In 2015, the California Department of Toxic Substances Control (DTSC) determined that the site was cleaned up sufficiently to allow redevelopment to begin. Groundbreaking will take place on the first buildings in the first quarter of 2016, breathing new life into a formerly underserved San Francisco neighborhood.